Houzer is a well-known name when it comes to plumbing, sinks, and fixtures. The Houzer CTB-3285 is a very contemporary yet traditional sink for any homeowner. This sink has a satin finish to it with a highlighted rim. It is six inches deep and will fit in a sink base of 30 inches. This sink is made of some of the finest quality 304 stainless steel. It features quite a nice mix of nickel and chrome. 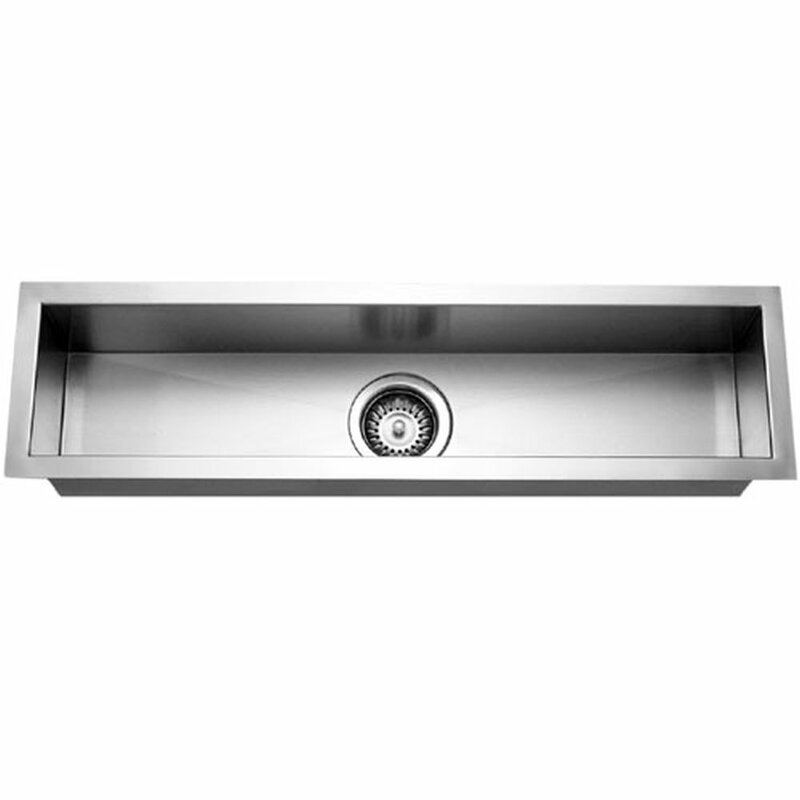 Along with its fine looking steel, it also has a super silencer pad that helps to reduce any extra noise in the sink such as dishes dropping in it. This sink has a very modern look and will please the eyes. For any plumbers who are looking for a modern yet traditional sink, the Houzer CTB-3285 is one to buy. It has great functionality and is also loves by DIY homeowners. 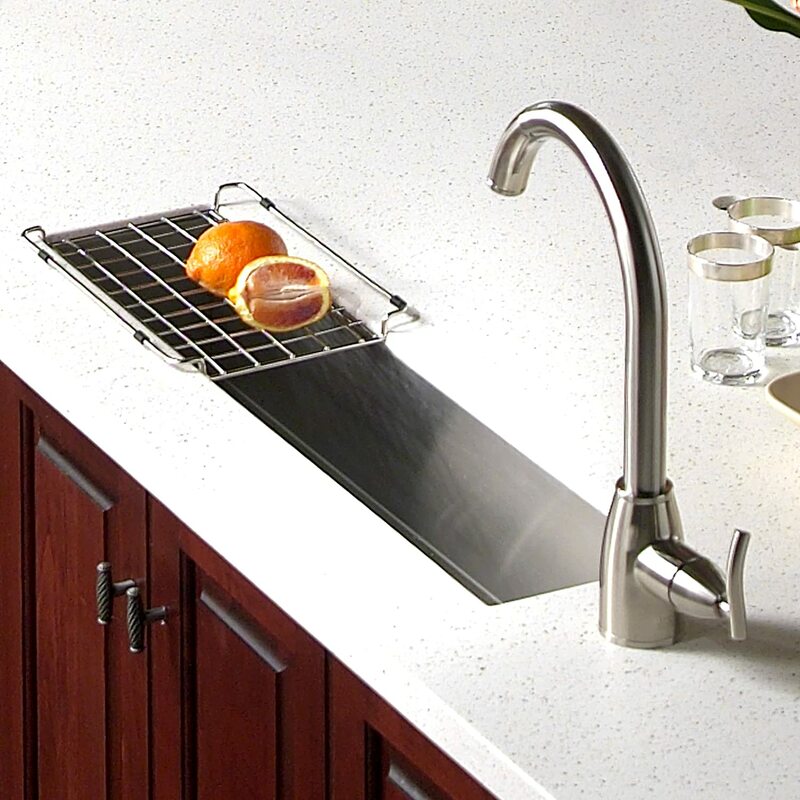 This sink will compliment any kitchen, bathroom, or home bar. Many customers have used it to hold ice in their home bars and in their vanities in the bathroom. It works really well in very narrow spaces like home bars. It has such a modern and unique look that it attracts praise. Because it is insulated, there is very little noise that goes with it when items are dropped into. It is also quite sturdy and very good quality. It does come with a wire basket that can be put over the drain to make sure that no food or debris clogs up the pipes. It is very easy to clean as well. The wire basket for the drain has a tendency to bend fairly easily. 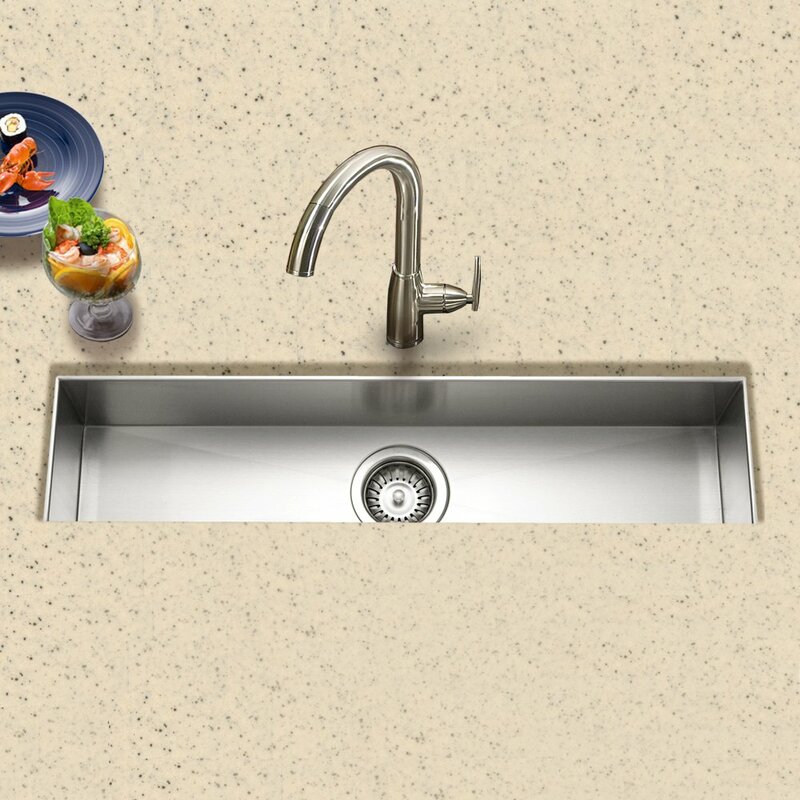 Some customers said that the sink is too narrow and small for the purposes that they had for it. Overall, the Houzer CTB-3285 has gotten a lot of mixed reviews. For the price, it seems to be a pretty well-made sink. Many customers love the quality and the appeal that it has in their home. Some were not satisfied with how easily it scratches but did make note that it does not take up too much room on the counter. When looking for a small and narrow sink, this is the one that many people have chosen. It will give any room in the house a whole new look.